Rum surely has no better ambassador than Luis Ayala. In his hands the rich and colorful history of rum comes alive, so vividly you can almost smell and taste the properties of this truly legendary libation. From New Zealand to Barbados, Venezuela to Puerto Rico, Ayala has sampled the rums of the world to compile a definitive history of rum as well as the most comprehensive tasting portfolio available to rum connoisseurs. Ayala speaks and writes passionately about a spirit that is as elegant and sophisticated as the world’s finest cognac, brandy and bourbon. As the cocktail culture brings us closer to rum - the first and most versatile cocktail spirit - we begin to see rum’s important place in mixology. The daiquiri and the mojito are perfect starting-off points to learn about rum’s finer incarnations. From the shaker to the snifter sipper, Ayala covers all types of rum and rum experiences. This book is a must for anyone who wants to learn more about rum or is already engaged in an enthusiastic affair with the world’s most lively and famous spirit. (Greg Morago, The Hartford Courant). The Complete History Of Rum In America From Colonial Days To Present Time. 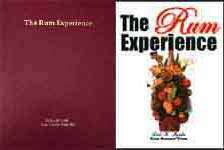 This book completes Rum Runner Press’ 'Rum Trilogy' series (which includes The Rum Experience and The Encyclopedia of Rum Drinks). Come discover the impact of rum in New England’s economy, its role in slave trade and its political power! Did you know that.... George and Martha Washington loved rum? That Prohibition actually increased crime and did not stop people from drinking? That most of the rum in the world is aged using American oak barrels? Find out the details about these and many other fascinating topics as the authors take you on a journey through America, from Colonial days to present time, analyzing events from a Rum perspective! Hardcover, 186 pages with color photography. Includes numbered Certificate of Authenticity and an original, un-used rum label from an early American distillery. Have you ever dreamed about sailing the Caribbean and sampling the finest rums the islands have to offer? Join the crew of the sloop Tafia and learn the secrets of the Caribbean spirit. The descriptive narrative takes you to the distilleries where you learn how rum is made and the differences between the 150 rums described. Historical sketches of the distilleries, recipes and anecdotes combined with more than 100 color labels make this the most complete guide to the best rums in the world. Here are tales of the New England Rum which wrought havoc among the red Indians; of the rum punches beloved of Berlioz and Mozart, and served in decorative punch bowls in the punch houses of 18th Century Britain; the Rum Runners of Prohibition; the Rum Traffic of New South Wales. The narrative is both humorous and informative and is complemented by a mass of illustrations. 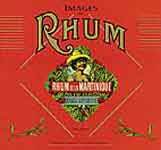 There is an authoritative section on the science and chemistry of rum making; and another on the problems and controversies of marketing rum in the 1980’s. Finally there is an international collection of rum recipes for cold and hot drinks. From the gentle charcoal-filtered purity of a white to the oak-aged spice of a dark, rum is one of the world’s finest and most popular spirits. Made from molasses or the juice of sugar cane, it was first distilled in the 17th century in the Caribbean. A fascinating tour of rum in all its styles--white, golden, and dark--Classic Rum looks at its rich history and culture as well as its manufacture. There is an A-Z of all the classic brands, their histories, and tasting notes (from the rare 'single marks' to more familiar names--Bacardi, Wrays, Lamb’s Navy, Captain Morgan, Mount Gay). In addition, there are classic recipes for rum-based drinks and tips on using rum for cooking in the kitchen. A complete and essential guide for connoisseurs and novices alike. Julie Arkell is a wine writer, lecturer, and broadcaster. The world has fallen in love all over again with rum. Now among the world’s top four spirits, rum sales continue to increase steadily. Its popularity notwithstanding, this is the first full-color reference book to detail the history, various production processes, and manifestations of rum. Prolific spirits expert Dave Broom explores the complex and colorful history of rum from its beginnings among slaves in the Caribbean. He probes the intricacies of pure rum by the island or country in which each variety was first made, illuminating the role of microclimate and slightly distinct production techniques in determining style and flavor. After a section examining the multitude of blended and spiced rums on the market, Broom offers the reader detailed instructions on achieving the greatest possible appreciation of the rum-drinking experience. 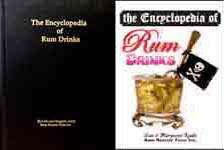 The book also includes a complete A-Z directory of rum distilleries and societies worldwide. Illustrated with specially commissioned art shot on site in the Caribbean, Rum is the ultimate resource for the professional or armchair connoisseur of any strain of this fascinating product. Rum has never been more popular than it is today. There are more than 1500 rum labels bottled in more than forty countries around the world, and rum now gives vodka serous competition as the mixer of choice. Following the model of Cod, each chapter ends with recipes for rum-based drinks and dishes that are historical in focus. The final chapter explores the differences between the varieties of rum, with an emphasis on the historic reasons for them. Recounts the story of the libation that kept the British Navy afloat for 300 years, and its role in the wars, bloody battles, peace-keeping efforts, long voyages of discovery, and of course shore leave. For over 300 years rum has played an important yet neglected role in the history and culture of Atlantic Canada. The 'devil rum', 'that old rummy', 'a tot of rum' and 'rum running' are just a few of the common expressions that refer often disparagingly, to this alcoholic beverage that is familiar to all and perhaps too familiar to some. Despite its notoriety, little has been written about the favoured drink of the Maritimes. This volume which brings together a number of papers on the RCN, rum running, taverns, and trade provides an excellent overview of the impact of rum in the Atlantic region. What’s the bestselling liquor brand in the world? What’s one of the great untold business successes of 20th century? What Cuban family has waged war against Fidel Castro over since his coup thirty years ago? All three questions have the same answer: Bacardi. Since the late 1970s Bacardi rum has been the world’s number-one spirit brand. Yet few people outside the industry know that Bacardi is a private, family-controlled group of companies, and fewer still - even people in the industry - know much about the family. Since the business was founded in Cuba in the mid-1800s, it has been intertwined with Cuban revolution. Following Castro’s coup, in 1959, Bacardi’s extensive Cuban assets were expropriated, and the family members were forced to leave the island. They resettled in Miami and Nassau, Bermuda and Mexico, Canada and Spain. Part business book and part family saga, Family Spirits is set against the broader background of Cuban history, the rapidly changing global liquor industry, and the twentieth century battle between Communism and Capitalism. History of Bacardi company by a Castro fan. The Bacardí rum company is one of the most successful and recognisable brands in the world. It spends millions on marketing itself as the spirit of youth and vitality. But behind its image as a party drink lies a very different story. In this book, investigative journalist Hernando Calvo Ospina brings to light the commercial and political activities of the Bacardí empire to reveal its role in fostering the 40-year long confrontation between the United States and the revolutionary government of Cuba. Through meticulous research, Ospina reveals how directors and shareholders of the family-owned firm have aggressively worked to undermine the Castro government. He explores how they have been implicated in supporting paramilitary organisations that have carried out terrorist attacks, and reveals their links to the extreme right-wing Cuban-American Foundation that supported Ronald Reagan's Contra war in Nicaragua. Bacardí: The Hidden War explains the company's hand in promoting 'special interest' legislation against its competitor, Havana Club Rum, which is manufactured in Cuba and promoted by the European company Pernod-Ricard. Ospina reveals the implications of Bacardí's involvement in this growing dispute that threatens to create a trade war between America and Europe. Exploring the Bacardí empire's links to the CIA, as well as its inside links with the Bush administration, this fascinating account shows how multinational companies act for political as well as economic interests. Descr-cz = Historie firmy Bacardi z pera Castrova fanouška. The irascible son of a Jewish pioneer from Czarist Russia whose business acumen built an international company renowned for the quality of its products. Samuel Bronfman’s father failed as a wheat farmer and then found success selling frozen fish, firewood, and horses. At this point young Sam observed to his father, 'The bar makes more profits than we do. Instead of selling horses, we should be selling the drinks'. And thus began what was to become the Seagram whiskey empire. Sam’s insight and timing were right as Canada, and especially the United States, were coming under the influence of the temperance movement. While legend often places Sam in the thick of Prohibition era bootlegging and rum running, in fact he built for the long term and kept his operations within both the law and its loopholes as he supplied American bootleggers. Sam demonstrated his marketing genius by insisting on quality in a business notorious for cutting corners and thereby set the standard for the industry in the decades to follow. Sam’s success in penetrating the American market was such that after Prohibition his competitors lobbied the federal government for protection. While Samuel Bronfman is a classic rags to riches tale, it is also the story of a Jew who remained in many ways outside business and social establishments even after becoming internationally famous. Commuting every week between his Montreal and New York office, his was a private life centered on his family and their home in Montreal and summer places such as Tarrytown, New York. In the 1950s Sam, under instructions from his daughter Phyllis Lambert, commissioned Mies van der Rohe to design a new corporate headquarters, the Seagram buildingat 375 Park Avenue, a landmark on the New York City skyline. As a leader of the Jewish community Sam was elected president of the Canadian Jewish Congress in 1939, and went on to organize financial aid to the fledgling state of Israel, beginning decades long involvement in Jewish affairs and support for the Jewish state. The story of Distillers Corporation - Seagrams Limited. The inside story of prohibition in Canada, 1925-29, as told through the autobiography and diary of temperance inspector Clifford Rose, of New Glasgow, Nova Scotia. BUNDY is a celebration of the centenary of Australia’s most popular spirit, Bundaberg Rum. The name will be instantly recognizable; it is a brand which reaches deep into our folklore, beginning with the Rum Rebellion. Rum was once only drunk strait; it kept better than beer on board ships and in the harsh Outback. More recently its appeal as a mixer has grown - particularly with Coke - and of course in that Queensland fisherman’s special, Bundy and milk in the morning. The makers of Bundaberg Rum have faced difficult times over the years; drought, depression, fire, and two world wars during which rum stocks were taken over by the armed services. As this book testifies, they and Bundy have come through in great style, and Bundy looks set to conquer the overseas market and Bundy-ise the world. The history of Edward Young and Company Ltd.
Foxy and Jost Van Dyke is a delightful tale about a very Colorful Caribbean Character and his unique island paradise. Foxy is an entertainer, entrepreneur, philosopher, community activist, world traveler, conservationist, musician, storyteller, cultural historian, fisherman, comedian, sailor-- a true West Indian Renaissance Man of the 1990s. When James Michener visited Havana with his associate John Kings, he was only researching Cuba for a new novel on the Caribbean, but he found much more to excite his interest. Michener’s insightful text and Kings’s evocative photographs record their impressions of Havana thirty years after the Revolution. The purpose of this book is to set forth the history of the U.S. Coast Guard in its battle with the rum runners. Probably no other era in American history has been more controversial than the prohibition period, extending from the middle 1920’s through the early 1930’s. As one of the law enforcement agencies charged with the suppression of the illegal liquor traffic, the United States Coast Guard was deeply involved in what has come to be known as 'The Rum War.' It was a hard, unremitting war with few of the rewards normally accompanying performance of such duty. Under the law, the Coast Guard had no alternative but to conduct it with zeal and dedication, utilizing all the resources at its command. The story of the 'Noble Experiment' is in large part a Coast Guard story. In this carefully researched, well documented history, students of this turbulent chapter of American history will find rewarding reading. The Complete Practical Distiller was the technical manual of its time for distilling alcoholic beverages (rum, whiskey, cordials, etc.) The first edition of this book was originally published in 1854. This is a reprint of the 8th edition, printed in 1875, which was expanded to include 'Practical Directions for Distilling' by Th. Flinz. Worldwide Directory of Distilleries is the definitive listing of over 5000 distilleries in 150 countries throughout the world. This annual guide is essential to all those involved in distilling and supplying the distilling industry. The book has a dual purpose: to document these special watering holes in photographs and to provide a historical and cultural background to a unique Barbadian institution. It should also encourage Barbadians and visitors alike to experience first hand the exuberant and autentic atmosphere of the Barbadian rum shop. History of town Whitehaven with many b&w illustrations. One chapter is devoted to rum wholesale R & H Jefferson. Part two of the threebook series The Rum Trilogy, this book presents the reader with close to 1,300 rum cocktail recipes from as far back as the 1800’s, through American Prohibition ('the noble experiment') all the way to modern era. Witness the evolution of rum mixology and of the rum drinker’s palate in this rum-soaked journey. The Encyclopedia of Rum Drinks is the perfect companion to The Rum Experience and a must have for all serious rum afficionados. Available in paperback (black and white) and as collector’s edition hardcover (full color, individually-numbered book). Experience Puerto Rico through the eyes and lens of two local residents with a flare for rum and history. The photographs are breath-taking while the bits and pieces of history and culture tie the recipes together into a woven masterpiece of tradition, family values and a taste for life. Includes delicacies such as Flan Pan Pudding, Cheesecake Mandarina and Coco Escondido. Of all spirits, rum provides the greatest variety of drinks for all tastes and occasions. 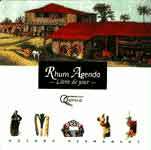 The Caribbean Rum Book contains carefully selected recipes for rum based drinks from straight mixes to exotic specialities daiquiris, punches, cocktails and many more. There is, in addition, a short section to encourage the reader to introduce the unique flavour of rum into cooking. The book will appeal equally to the holiday-maker who has enjoyed the specialities of his hotel or his favourite bar, and also to those living in the Caribbean who wish to impress their friends at the home bar. This is the best collection of rum recipes ever compiled. Filled with over 400 exotic, delicious, and thirst-quenching drink recipes, it also includes descriptios and tasting notes of over one hundred of the finest rums from the Caribbean. Beautifully illustrated in four color, it will leave you in a tropical state of mind. All you need to know about the renowned rum of Barbados; its history, how rum is made and something about one of the leading distillers on the island. All this leads to the major part of the book, enjoying the rum with a wide selection of rum based drinks and food recipes, illustrated in full colour. 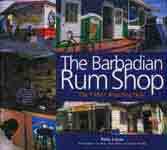 A book for every lover of Barbados and its famous drink. All that is involved in producing and consuming Mexico’s favorite liqueur can be found in The Book of Tequila. Beginning with a detailed look at exactly what tequila is, including the two types (100 percent agave and mixto) and seven kinds, Emmons, who has studied the subject for many years, describes the process by which tequila is made, its history in Mexico, and individual tequila distilleries and U.S. importers and offers instructions on how to organize a tequila tasting. He also gives a sampling of tequila recipes and cocktails as well as devoting a chapter to the margarita. Libraries with such titles as Ann and Larry Walker’s Tequila (Chronicle, 1994) or Lynn Nusom’s The Tequila Cook Book (Golden West, 1993) will find that they focus more on recipes and cocktails while Emmons’s book offers more of an overall view. Recommended for libraries with an interest in the subject or needing a good general tequila source. Pacult, who is the founding editor of the first newsletter dedicated to the review of distilled spirits, draws upon his official collection of tasting notes, ratings, and reviews to create this compendium of over 1200 liquors. Each section of the book is arranged by a specific type of spirit, liqueur, or fortified wine and includes a bit of historical background, practical information, and a description of the spirit, the process of distillation or production, and what to look for in the individual spirits. Information on the most famous producers is occasionally given as well. Single- paragraph reviews of each spirit include a rating (from one to five stars) and an indication of its cost, while appendixes list the individual spirit categories by ratings. Written with verve, style, and wit, this book is comparable to taking a tour through the world of distilled spirits as given by an informed, knowledgeable guide. Highly recommended for all collections. John Charles, Scottsdale P.L., Ariz.
Grossman’s Guide has been since its original publication the complete and standard reference book on every type of alcoholic beverage: where it comes from, how it is made, its history, special characteristics and taste, how to store and serve it, and its uses. Informative and interesting for the general reader, it is an invaluable manual for the professional in its coverage of all aspects of retail liquor store management and bar, restaurant and hotel service. This revised and enlargered edition, which includes new charts, maps and photographs, gives the latest information on U.S. and imported wines, spirits and beers, which up-to-date lists of vintage years, current liquor regulations and trends in public taste consumption. 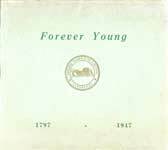 More than 500 old labels on 160 pages. Sweet dishes, always with rum. Savory dishes, always with rum. The report about rum production on France West Indies. The author was president of l’Association Professionnelle des Producteurs Embouteilleurs de rhum Agricole de la Martinique. Tour on 18 distilleries on on France West Indies. History of Cuban rum on 146 pages with many b/w illustrations. Establishing of Bacardi, annual balances of the company from 1880 to 1919 and other results between 1920 and 1954. History of R. Jelinek company from Vizovic.